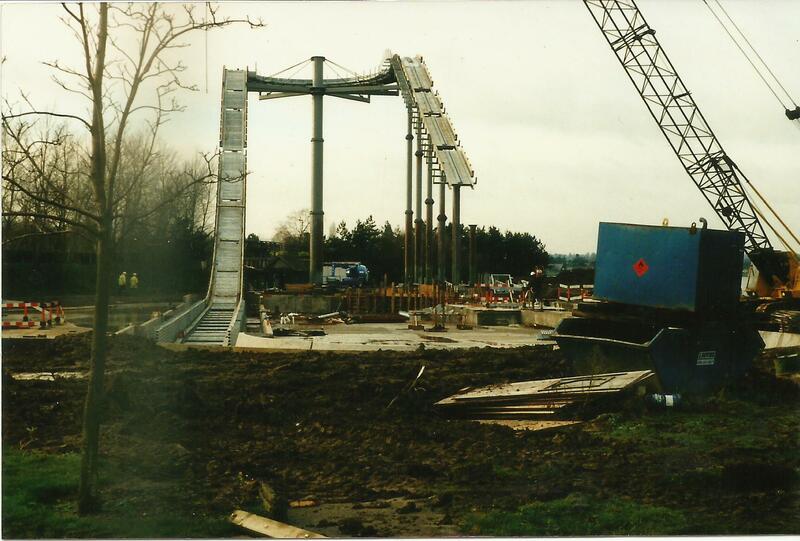 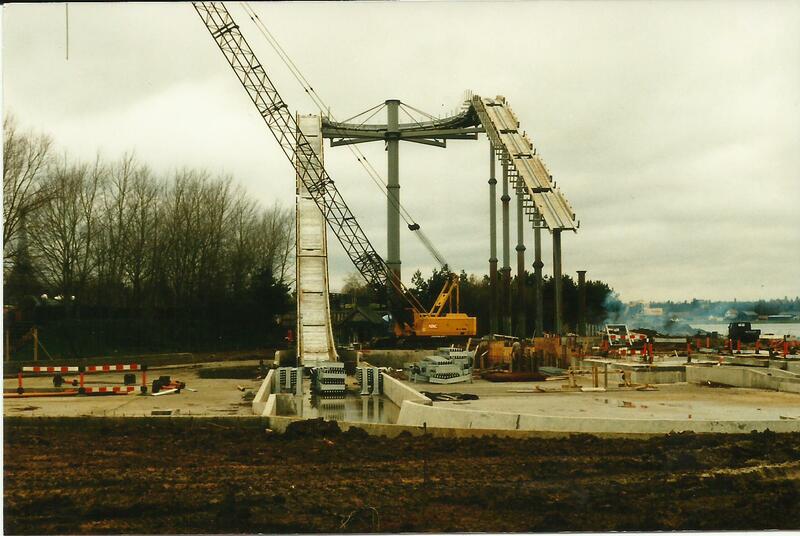 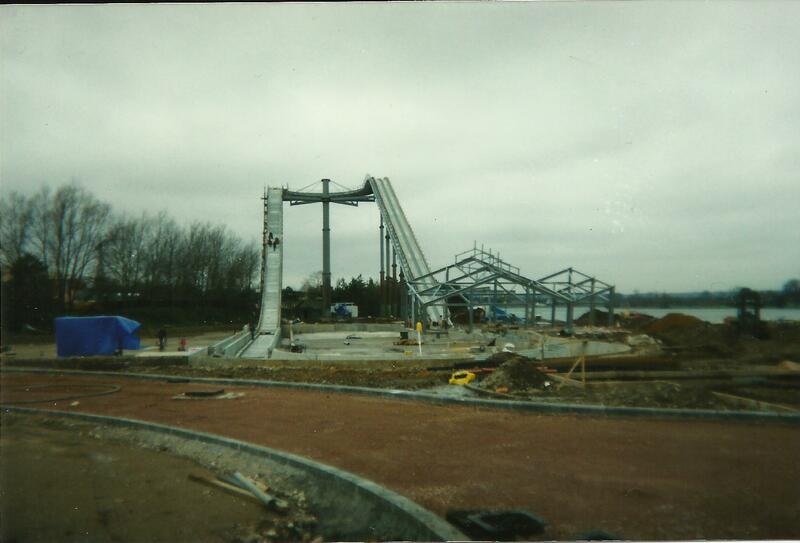 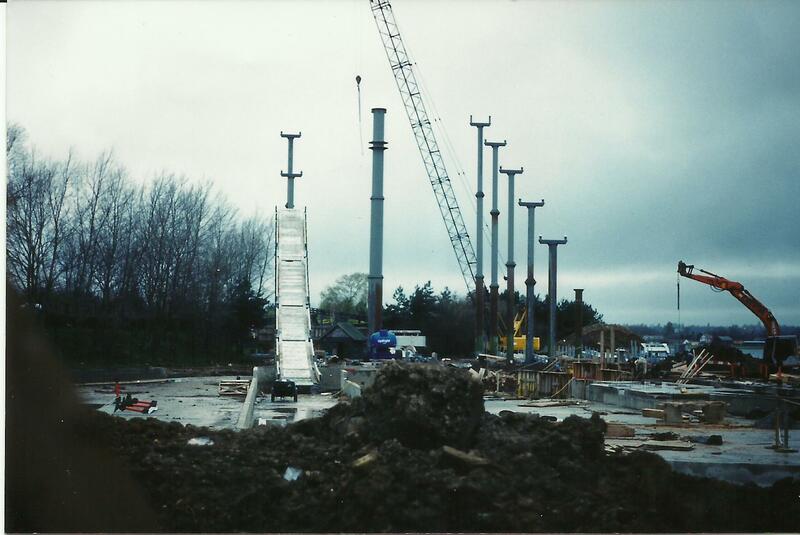 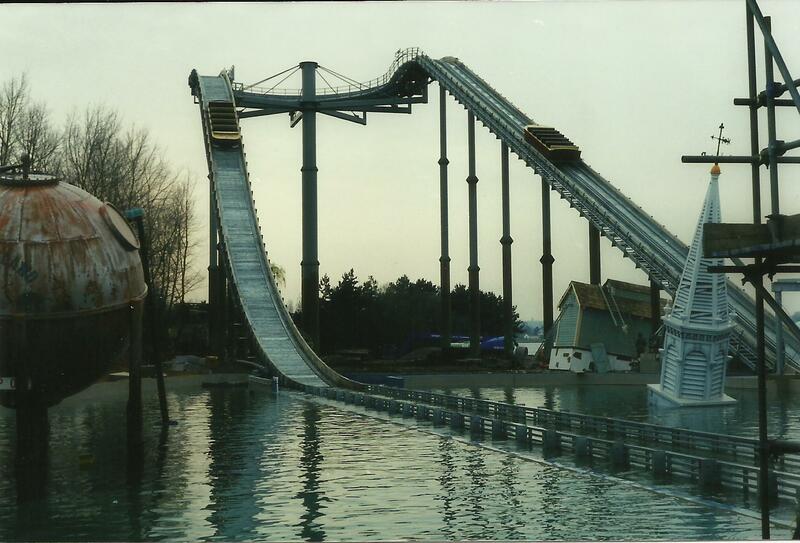 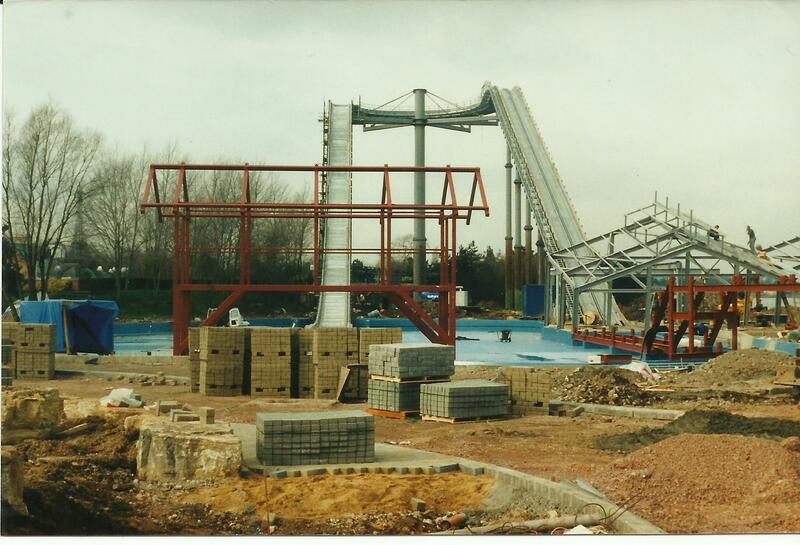 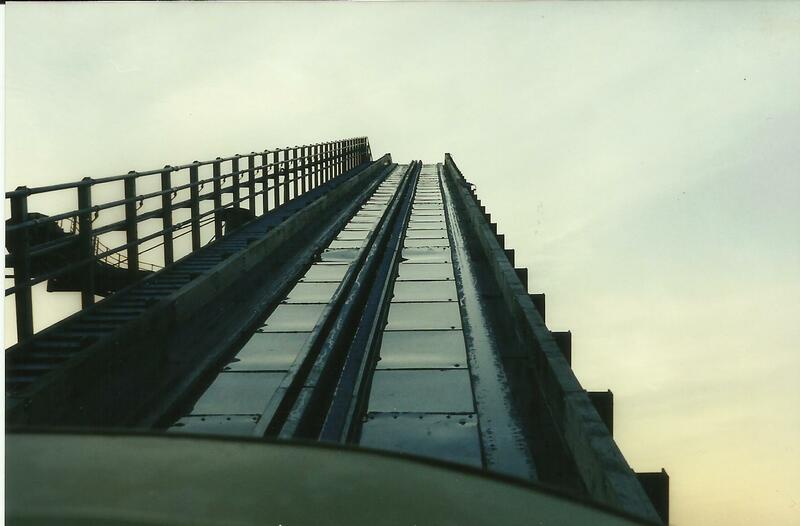 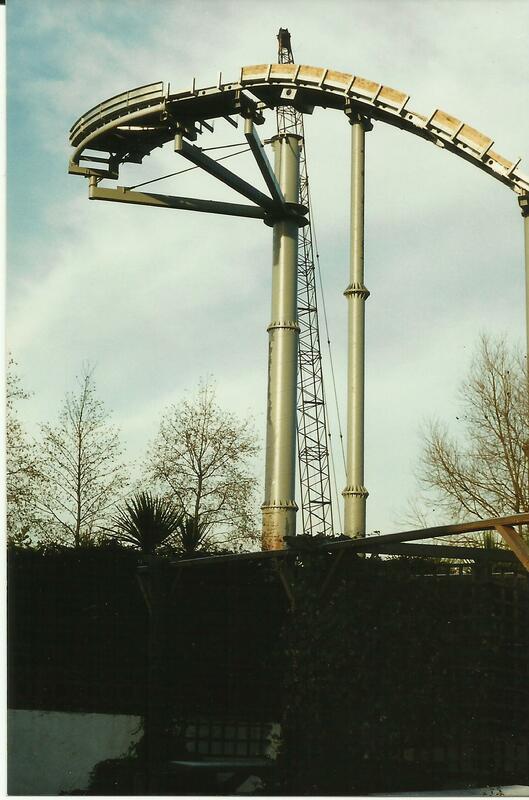 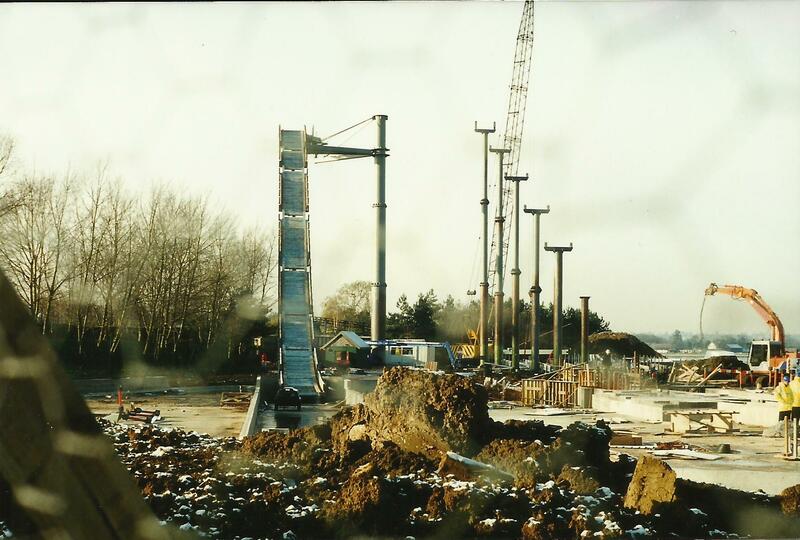 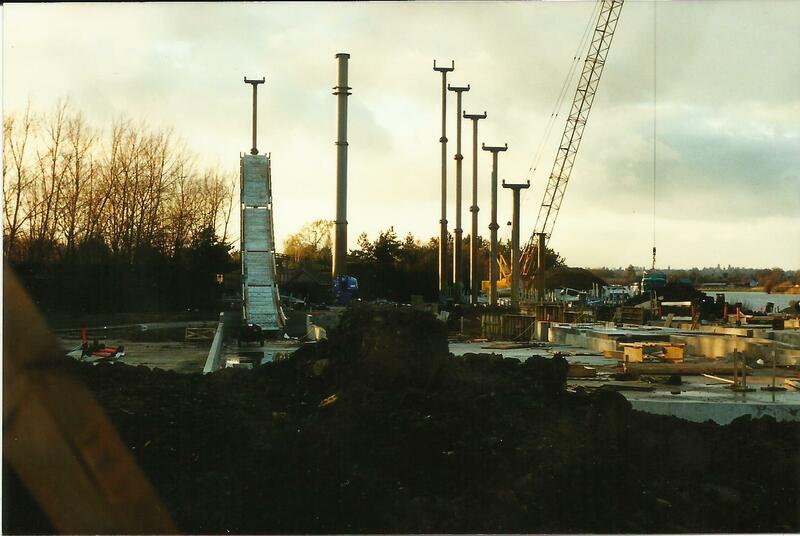 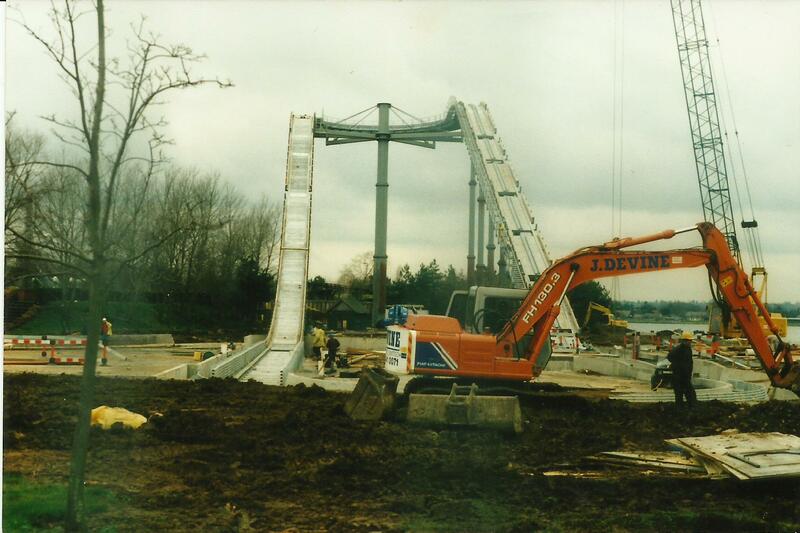 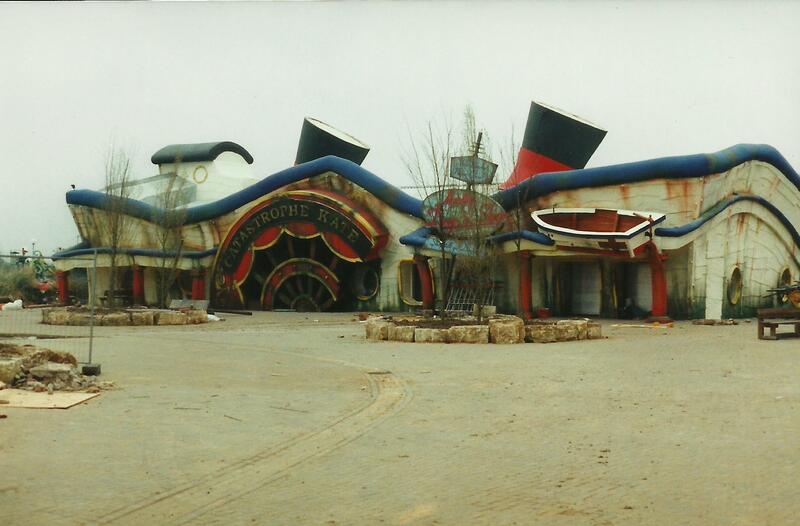 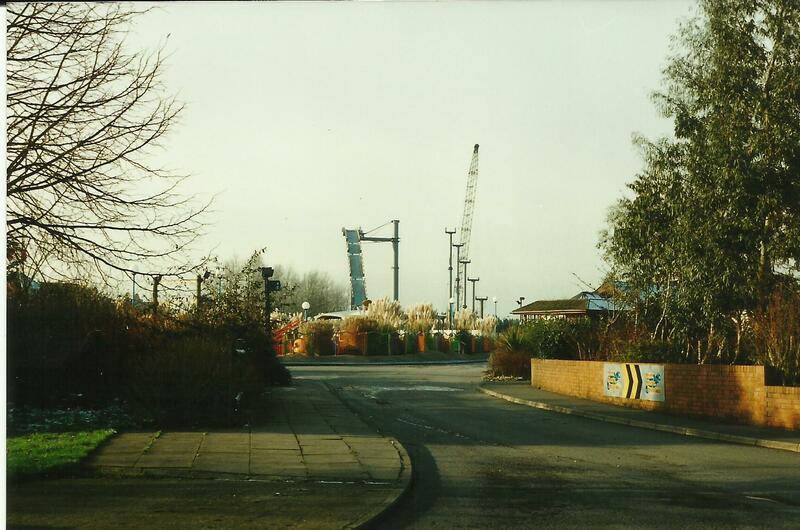 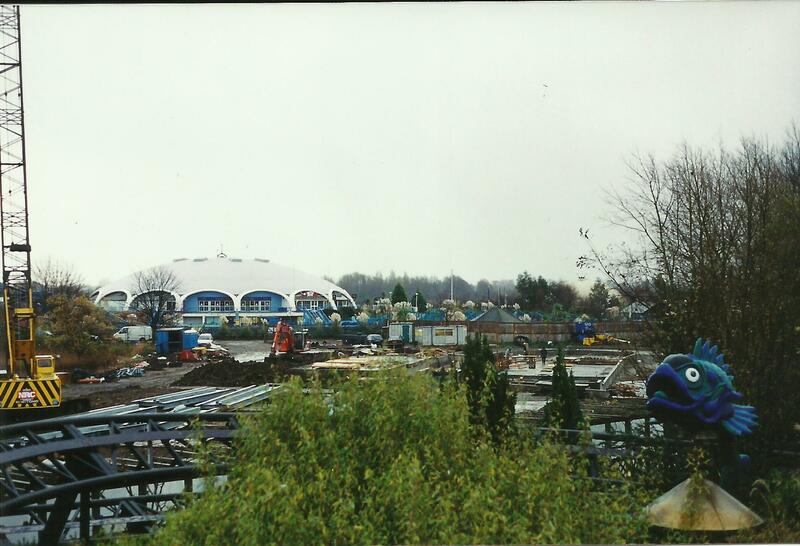 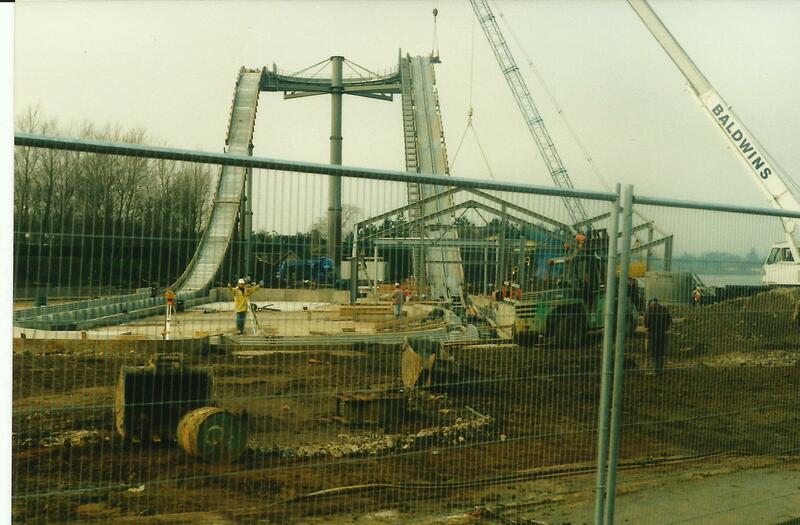 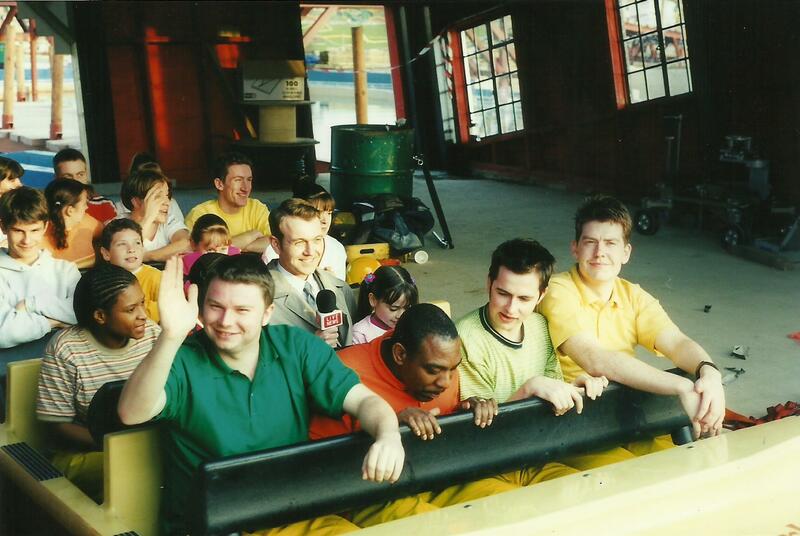 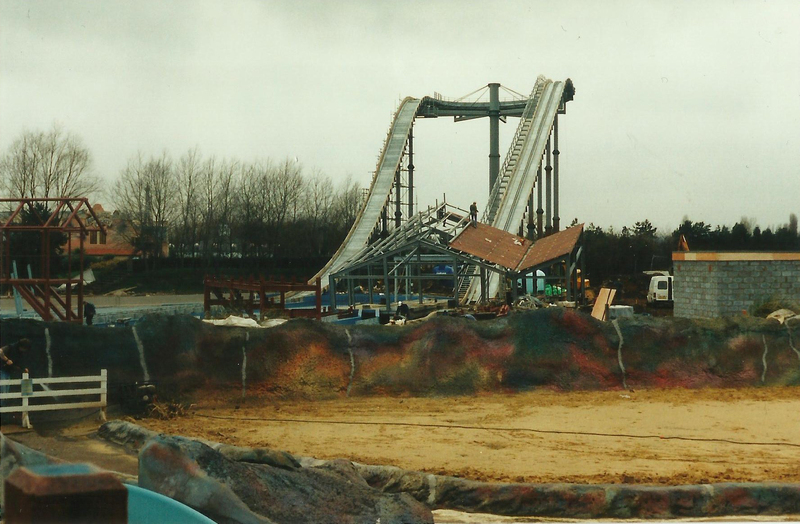 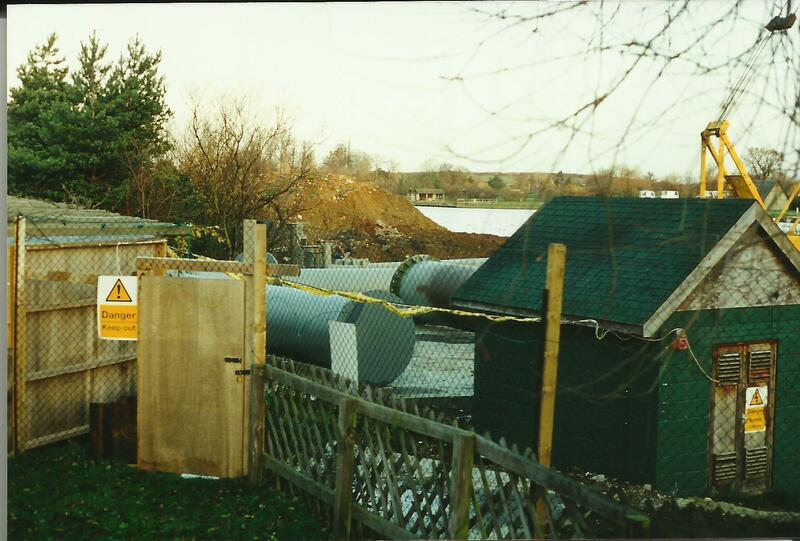 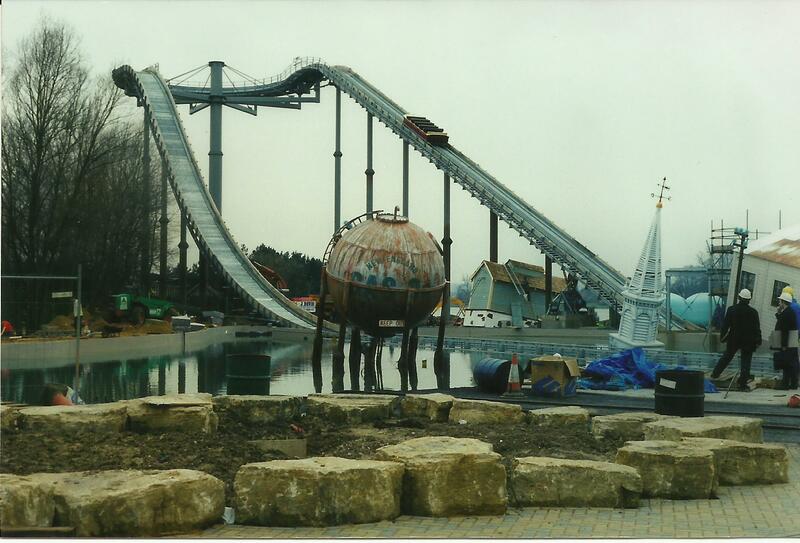 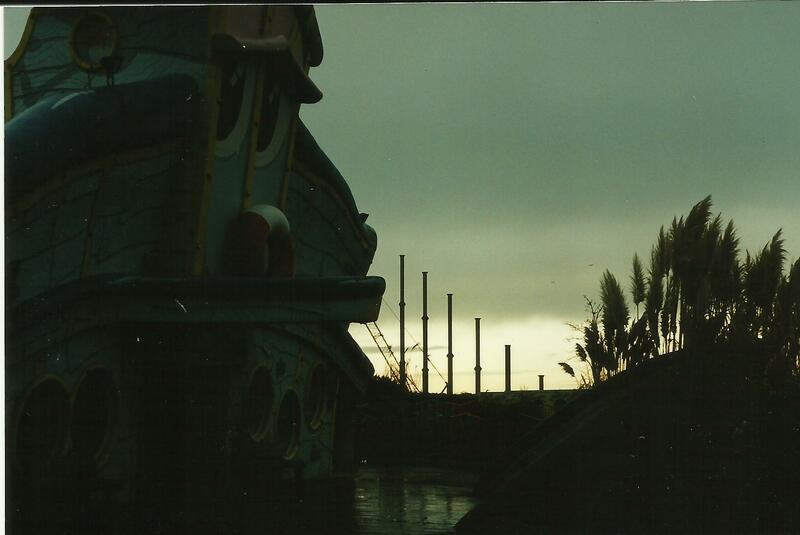 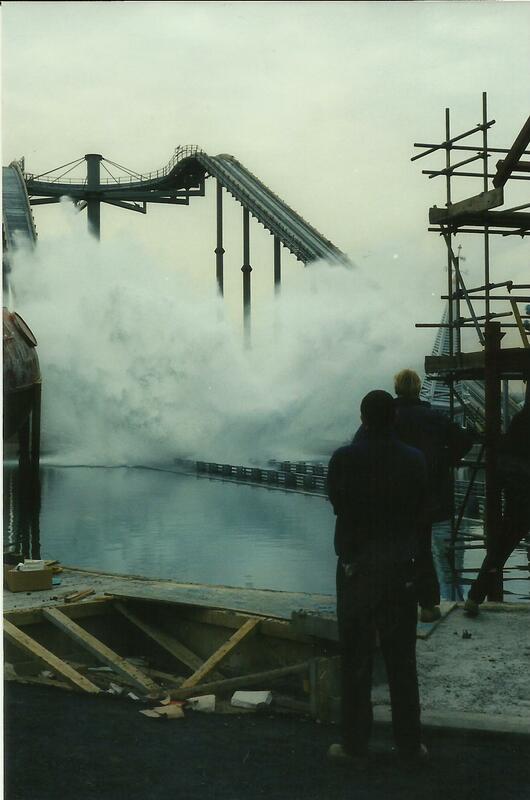 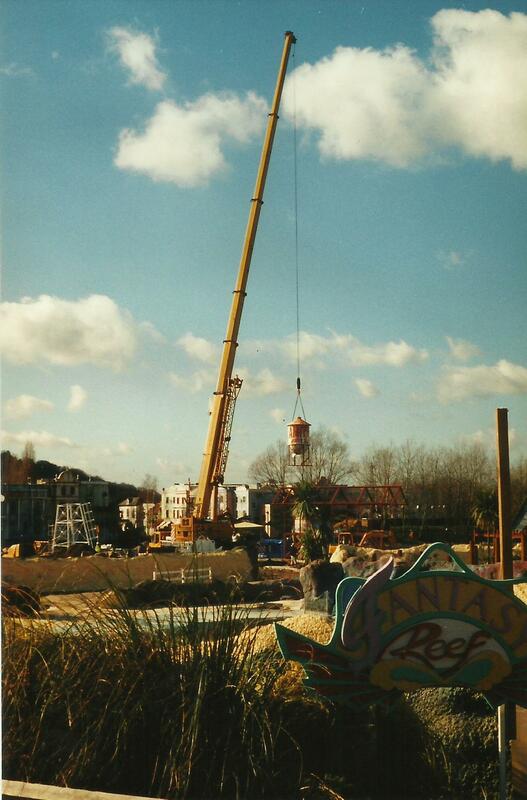 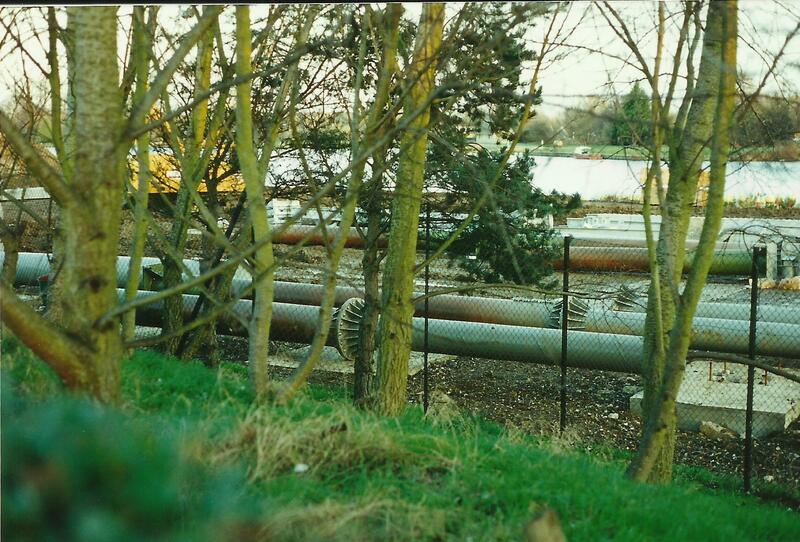 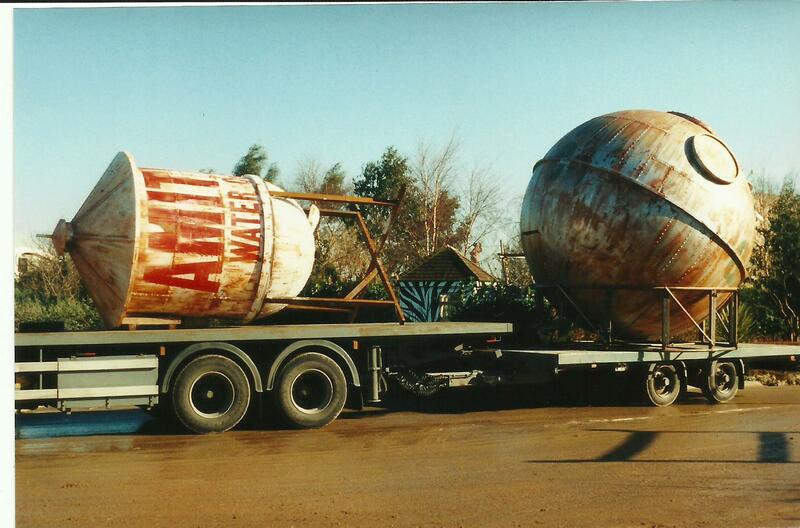 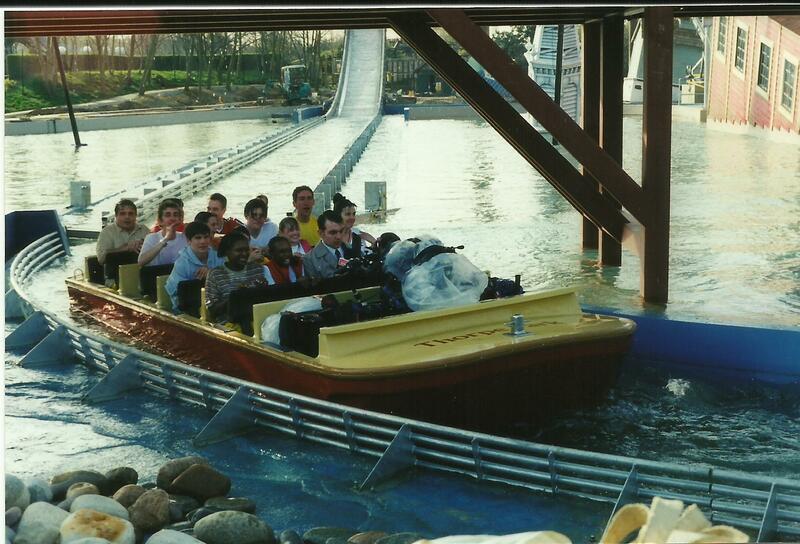 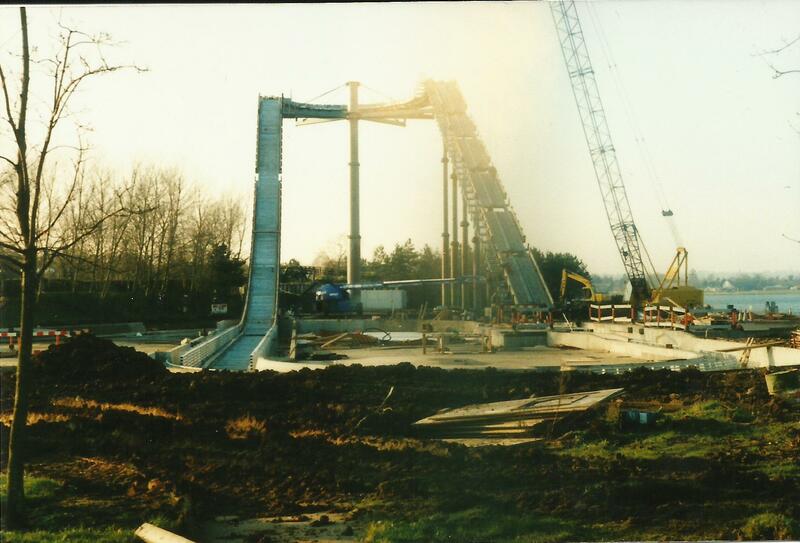 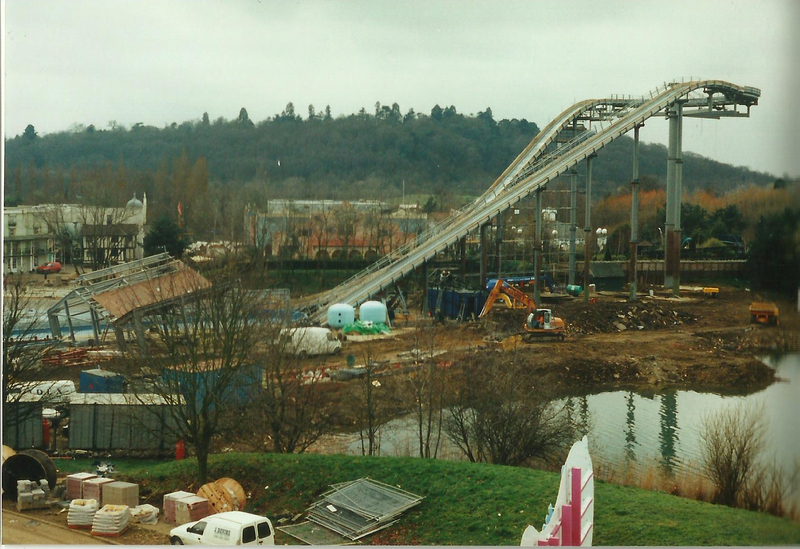 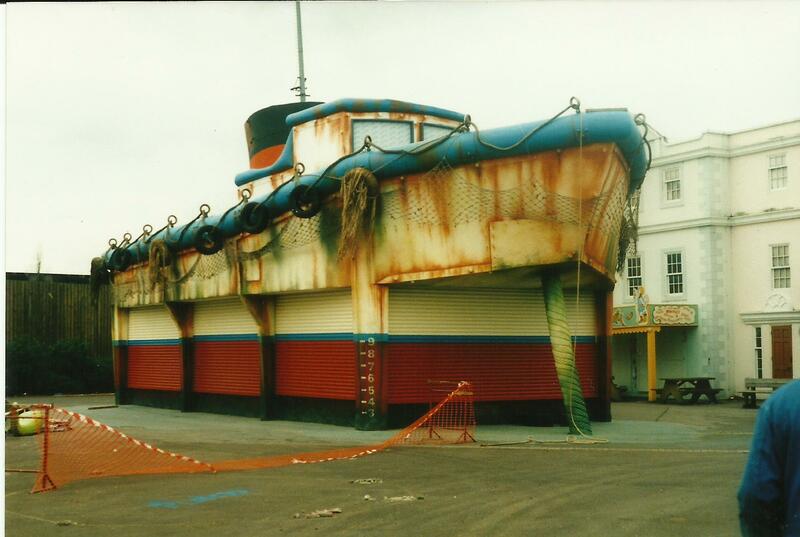 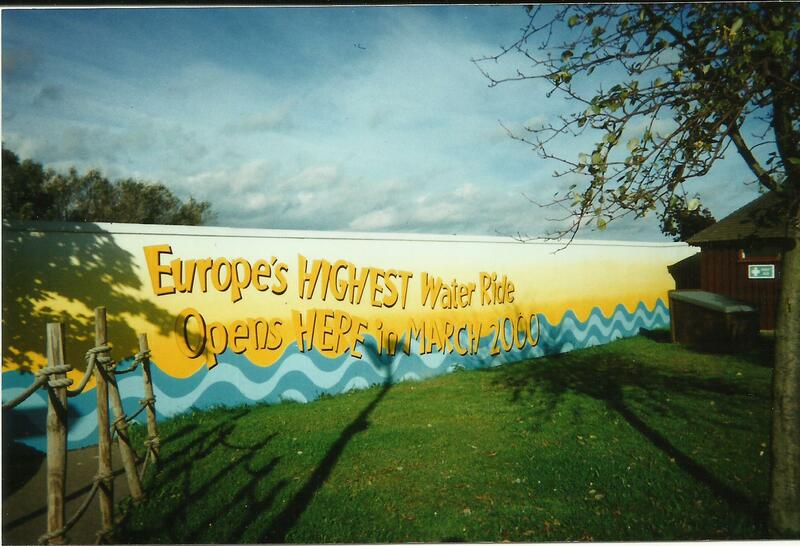 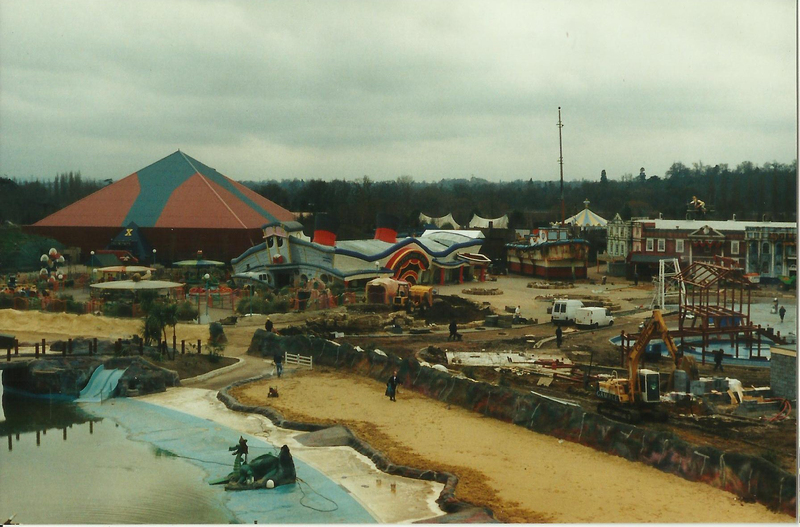 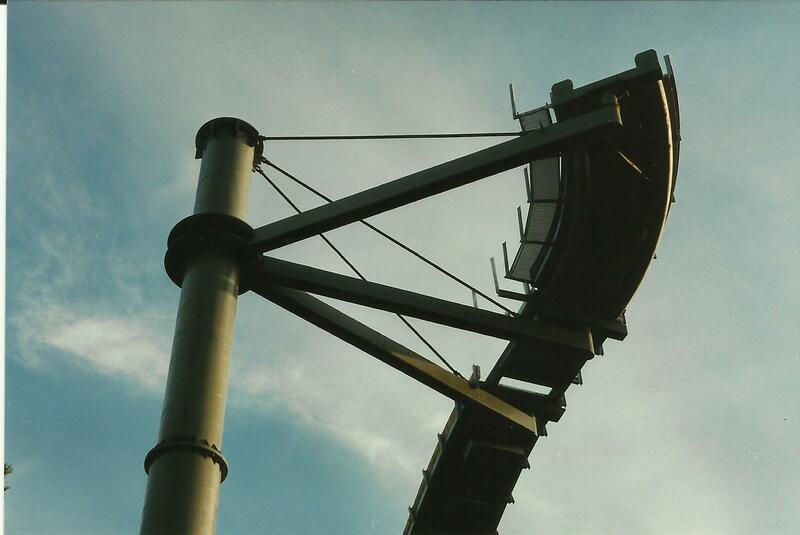 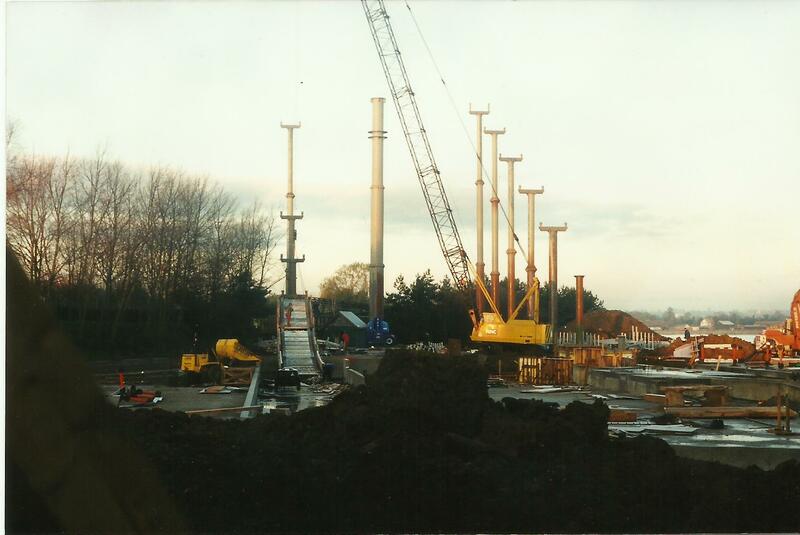 Tidal Wave once stood proud as the tallest ride in Thorpe Park in 2000. 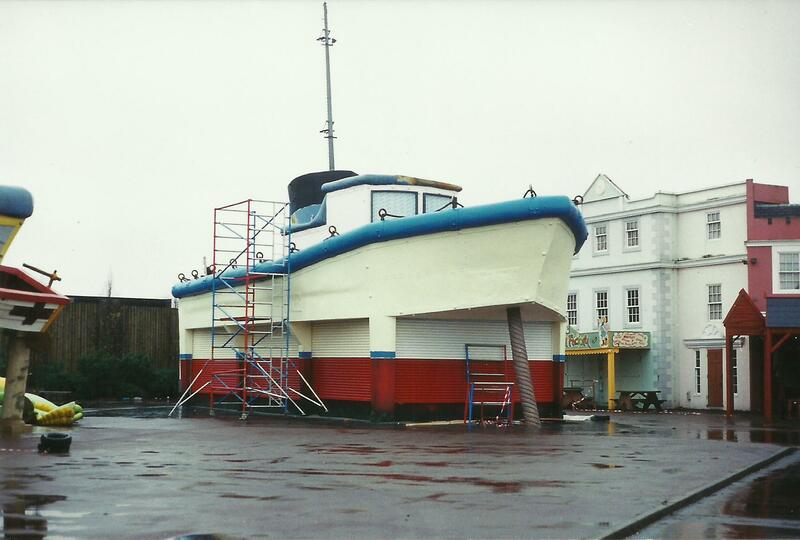 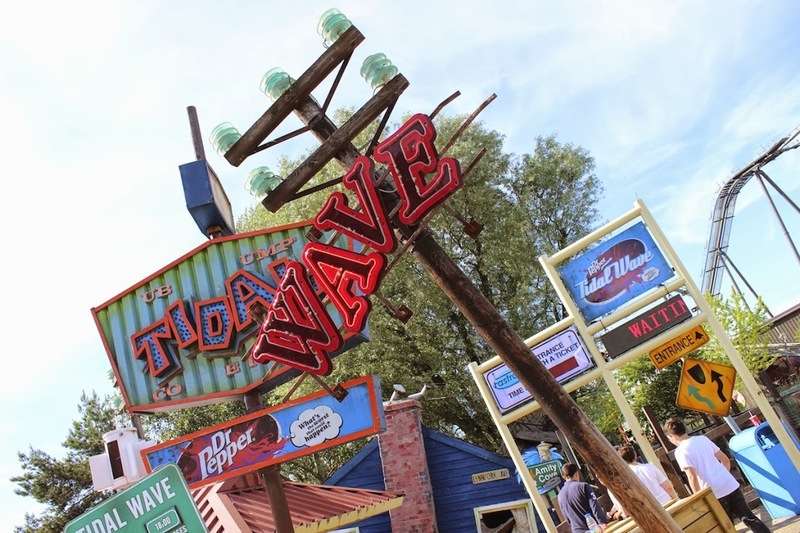 Situated in the Amity Cove section of the park, it is themed around an impending tidal wave ready to strike a 60�s-styled American fishing village and features some of the best and most consistent theming in Thorpe Park. 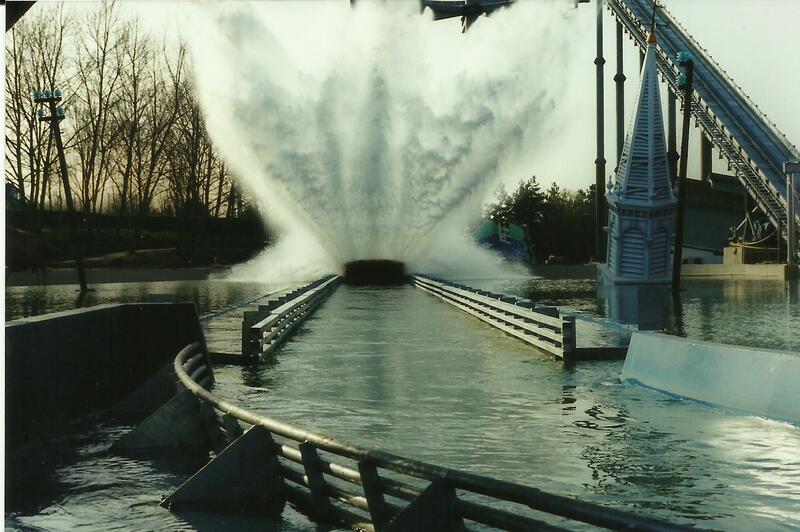 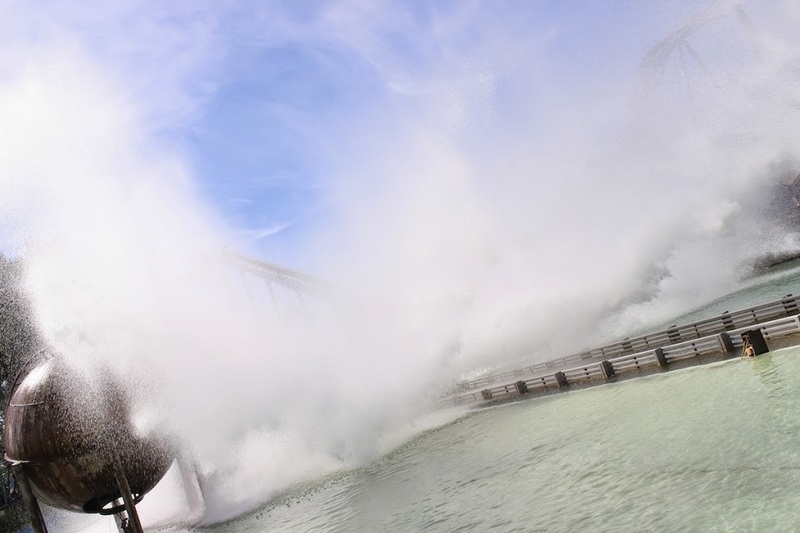 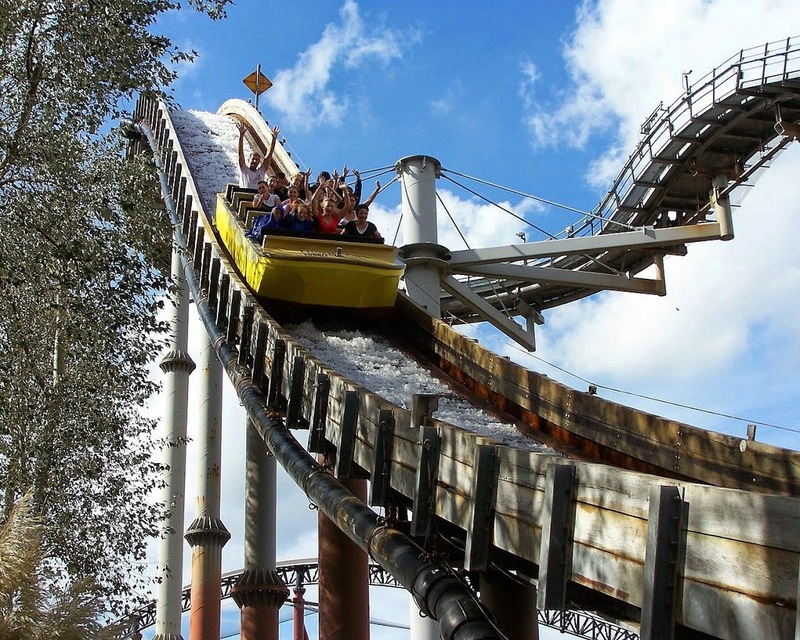 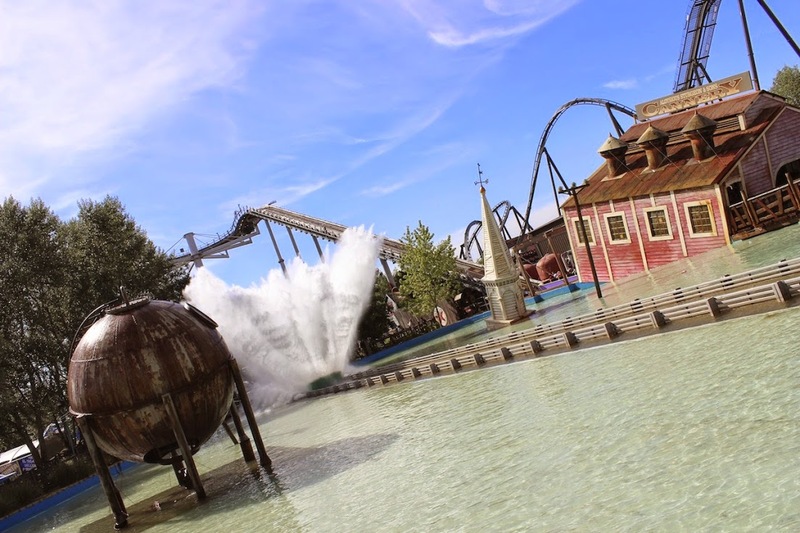 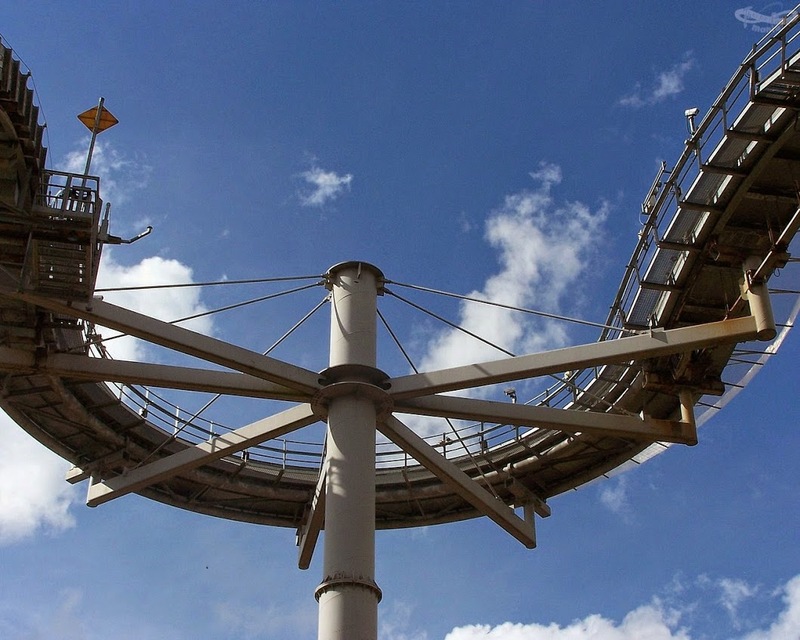 Dare you take the plunge on Thorpe Park�s biggest water ride? 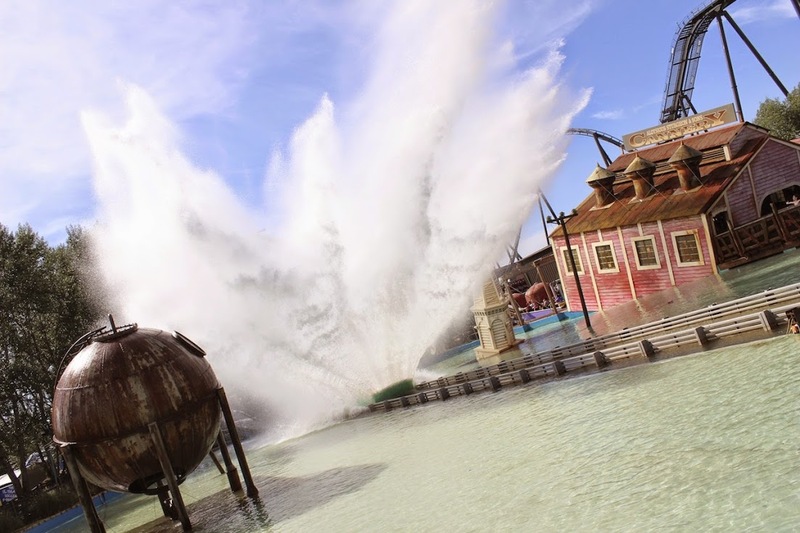 Producing the biggest wave from any water ride in the world when the boat splashes down into the Amity village beach, this is one ride that will drench you to the bone! 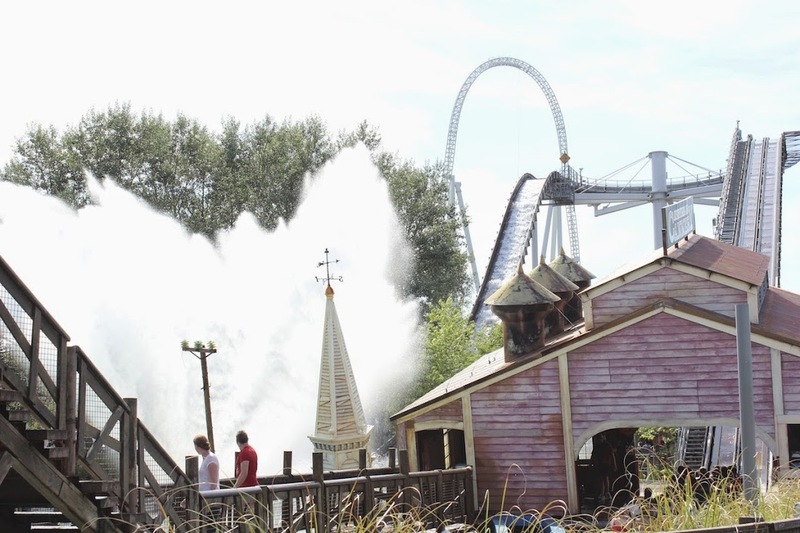 After reports of a new tidal wave on the horizon come in to the residents of Amity Cove, its guests� mission to survive the wave by escaping to the half-sunken church in the harbour. 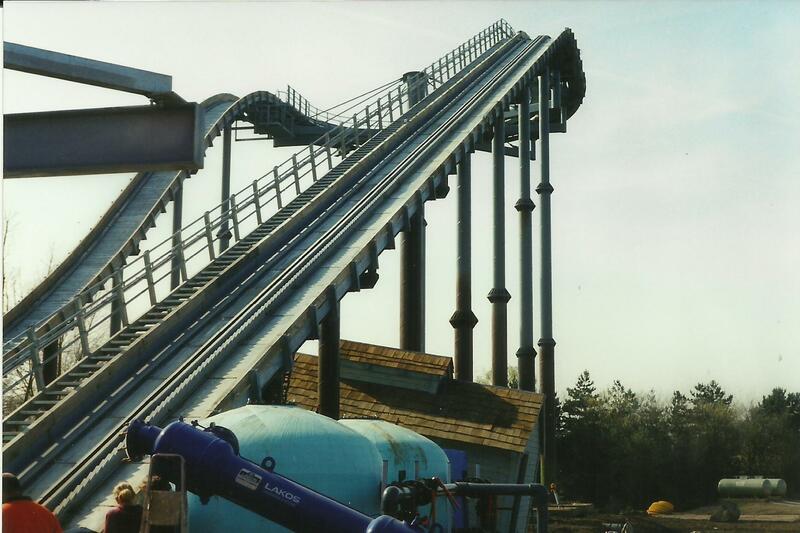 After boarding the safety vessels, riders climb the 85ft ride lift hill and pass the Amity Speedway. 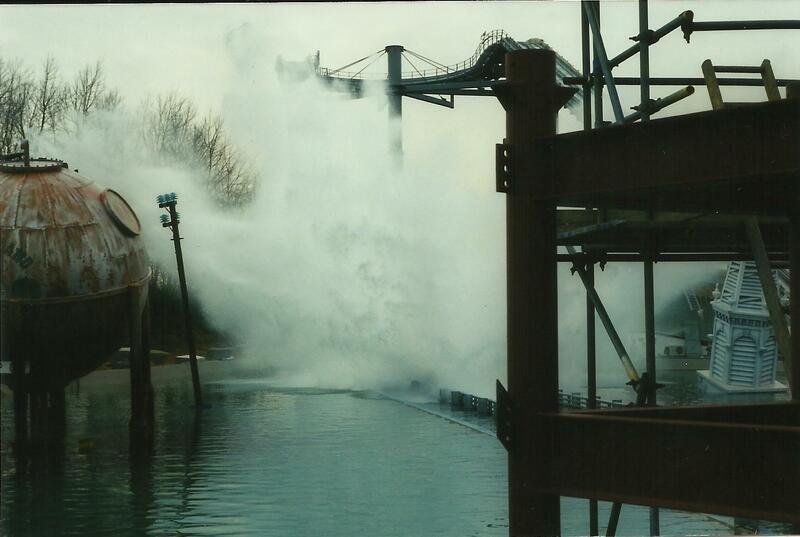 The boat pulls a U-turn and faces the harbour just before the dive. 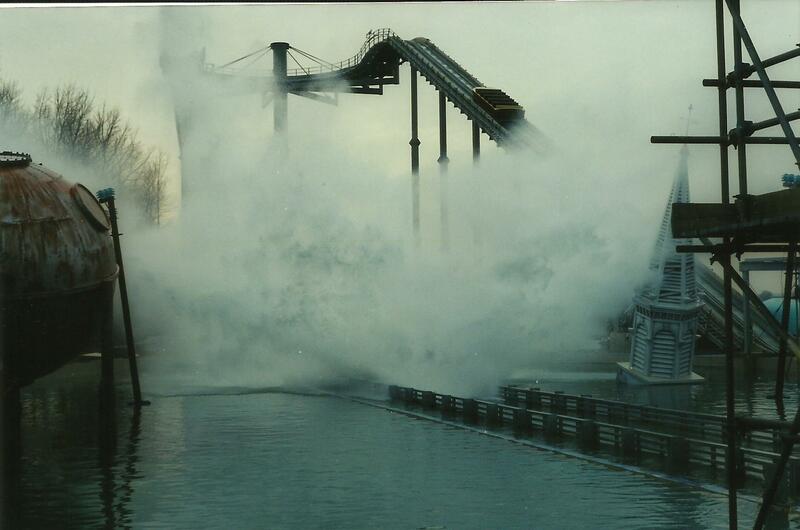 Dropping at 46mph into the flooded village below, riders are surrounded by a wall of water that erupts upward as the boat slows down, drenching riders and the spectators alike! 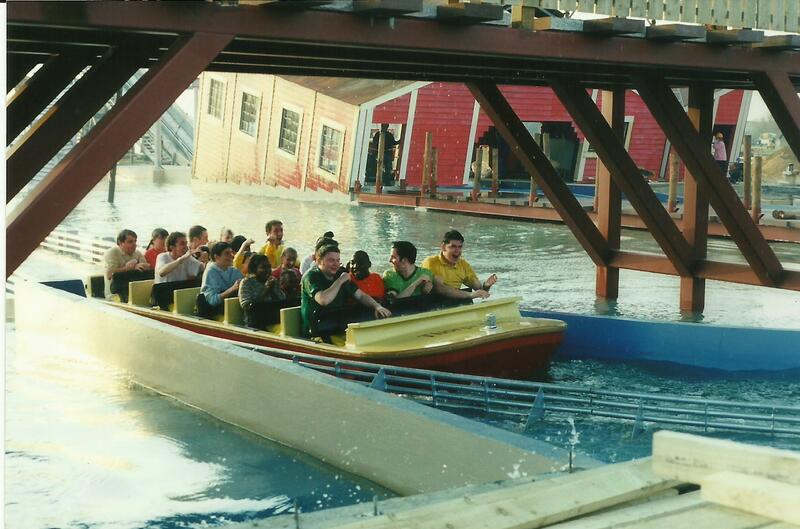 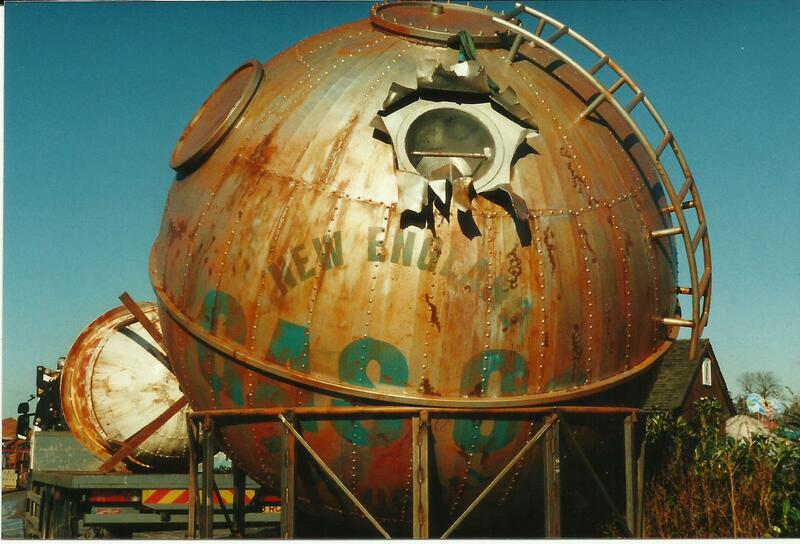 If you don�t want to ride, there is a �Splash Zone� behind Pier 13, the exit bridge to the ride. 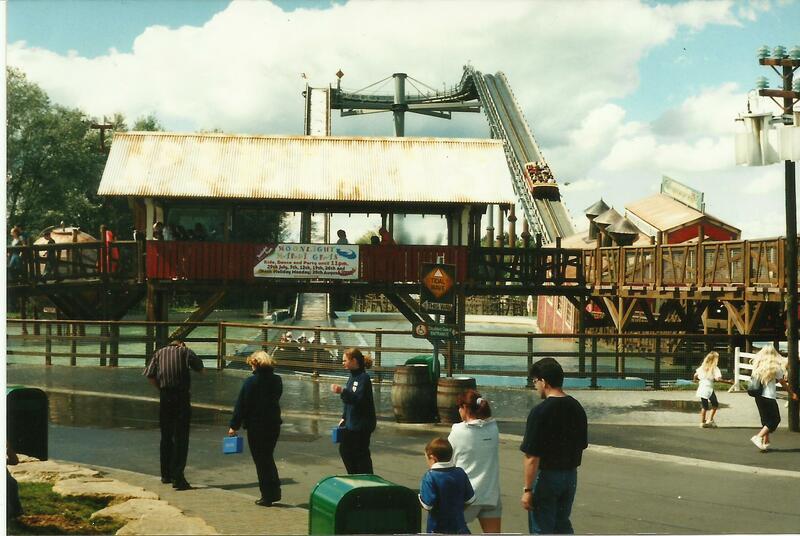 From here, you can experience the soaking the riders get on the ride without having to brave the heights! 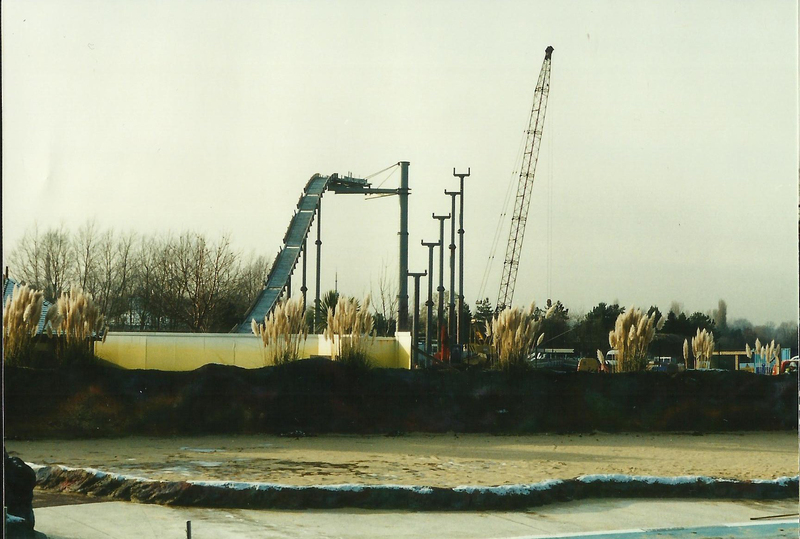 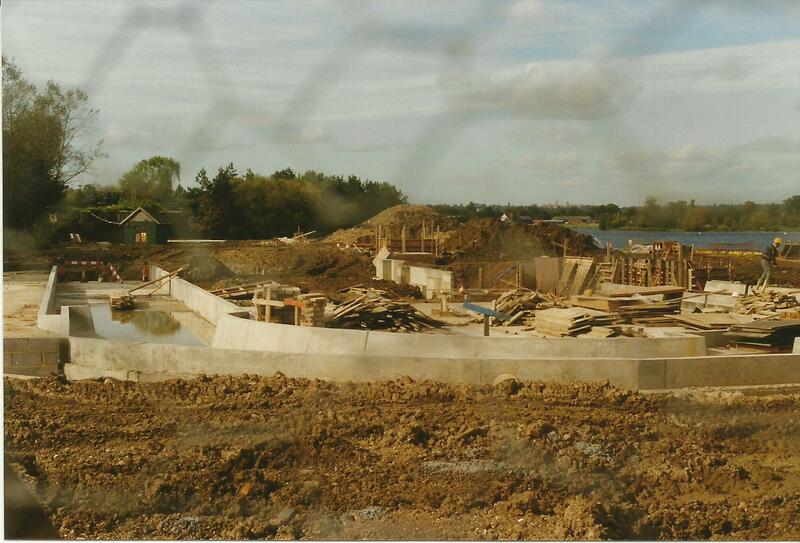 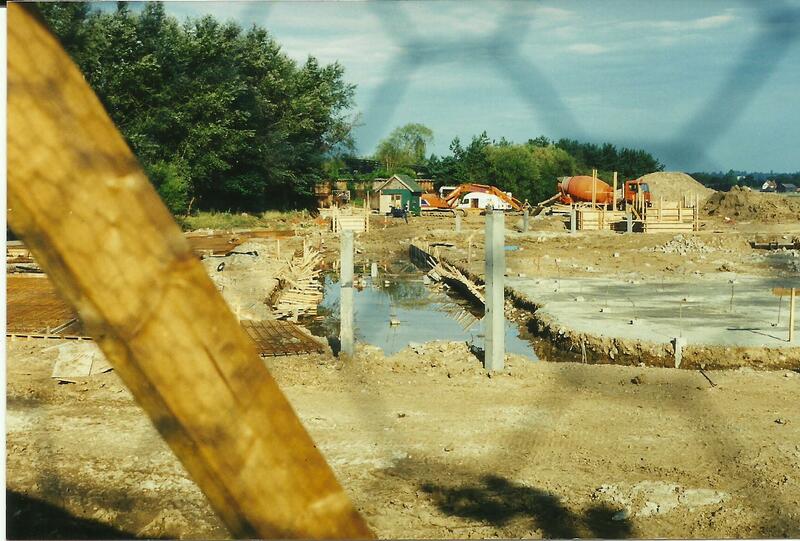 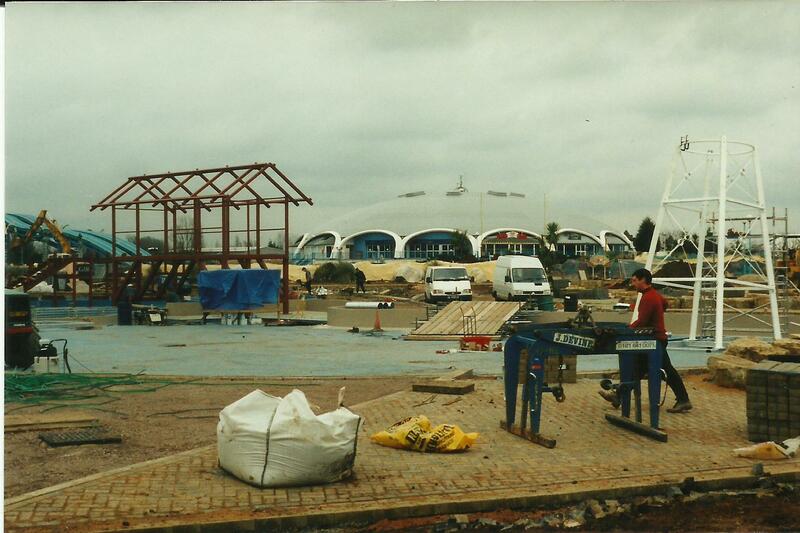 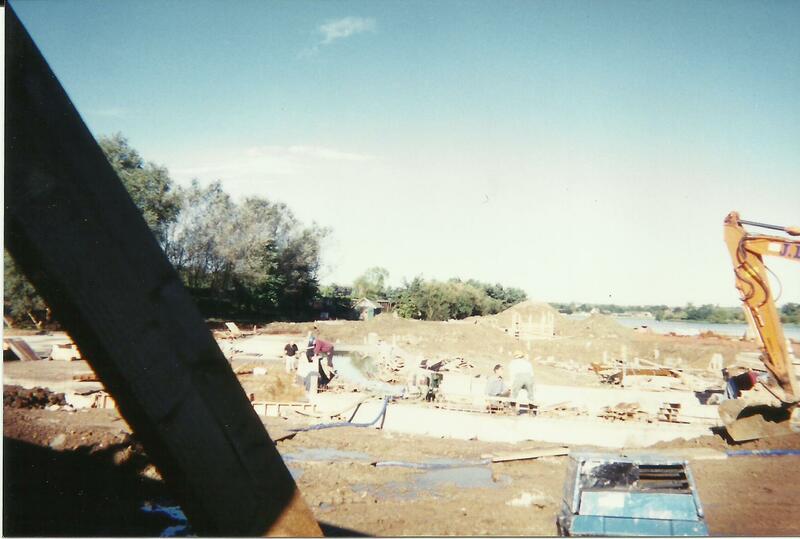 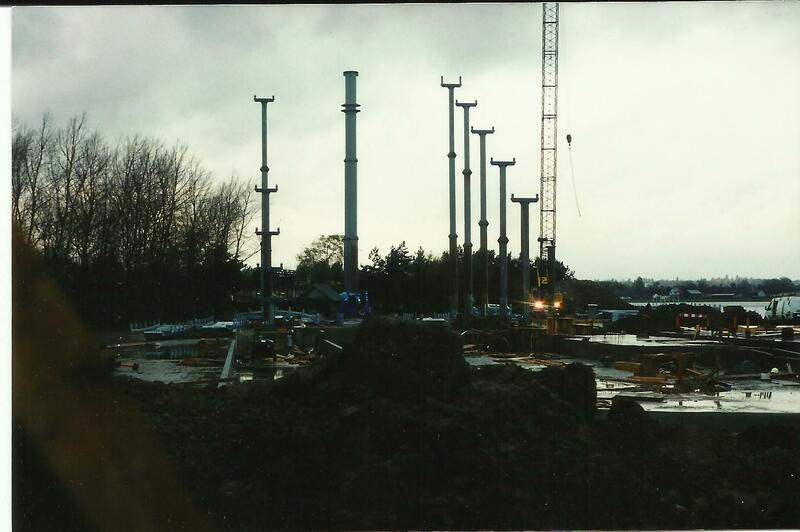 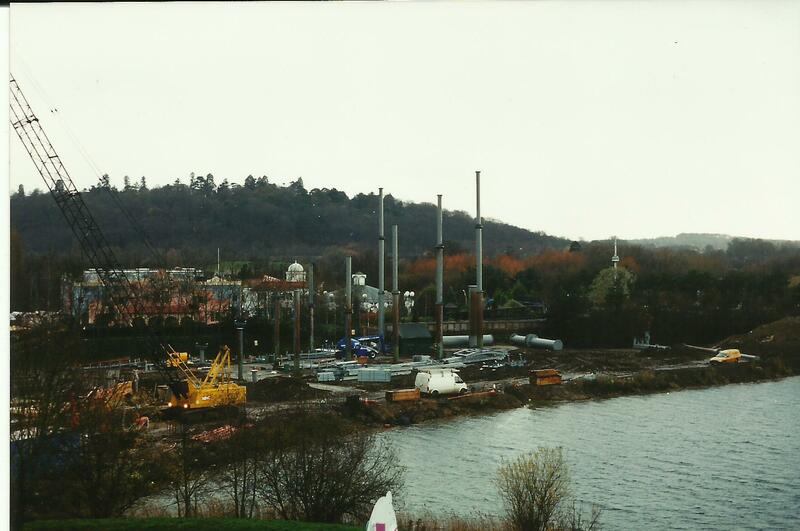 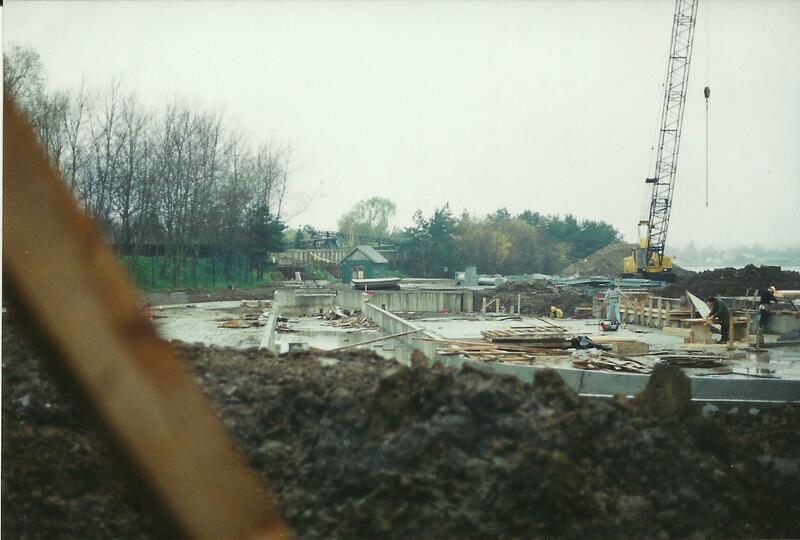 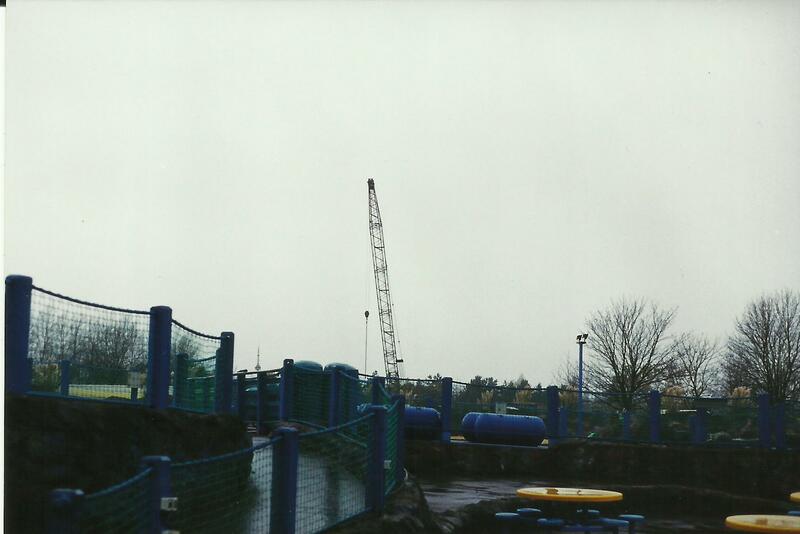 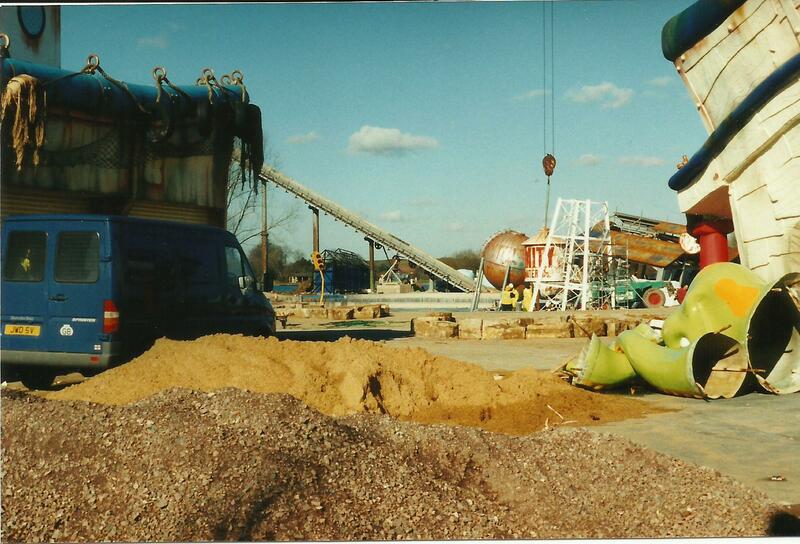 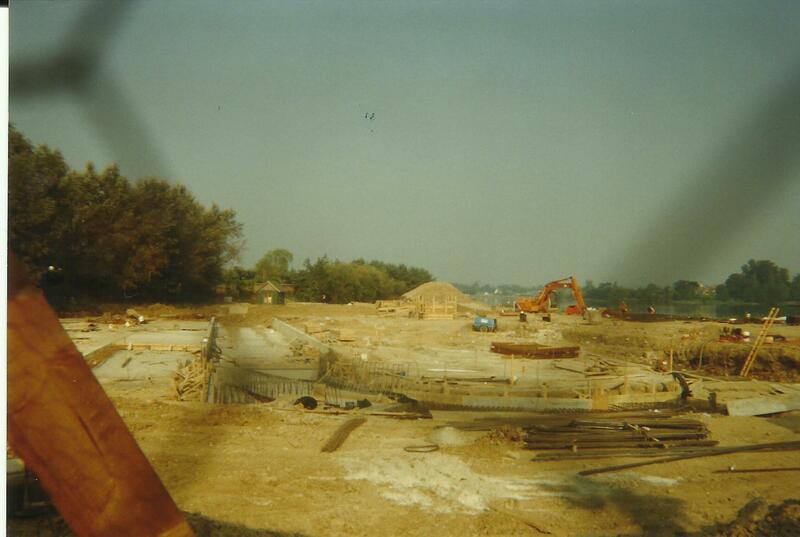 Here we get a first look at the construction of Tidal Wave - set to be the parks biggest ride to date. 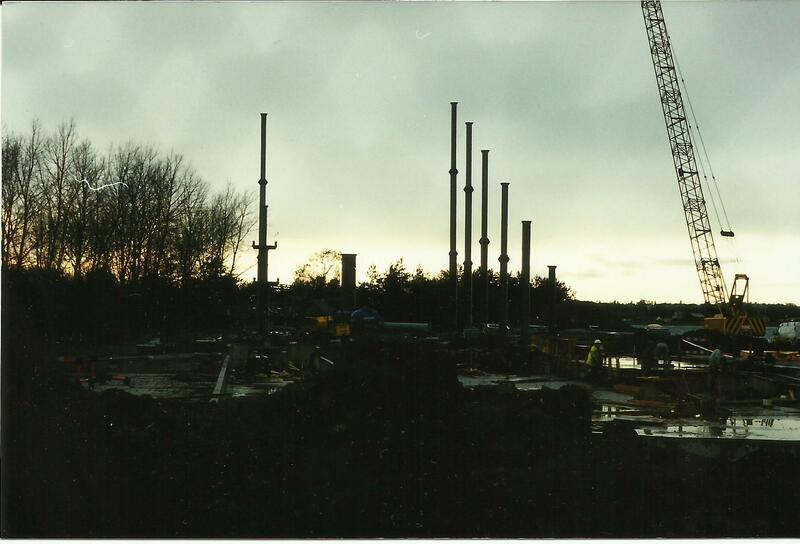 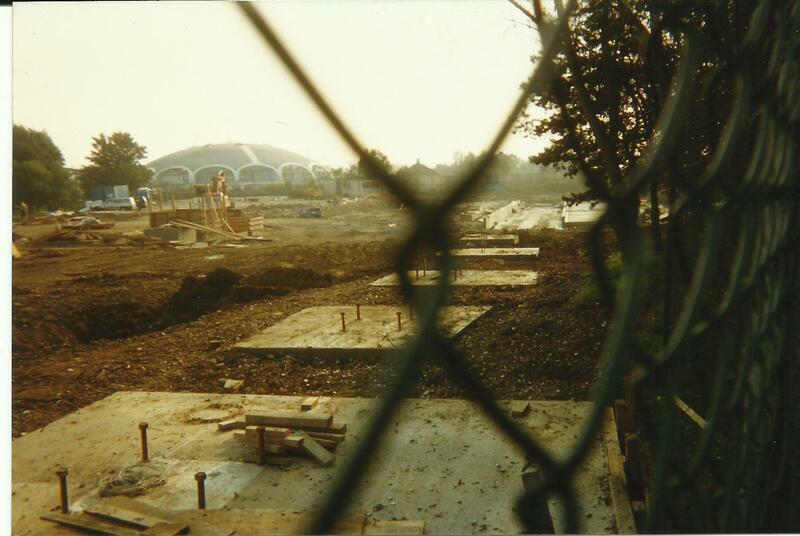 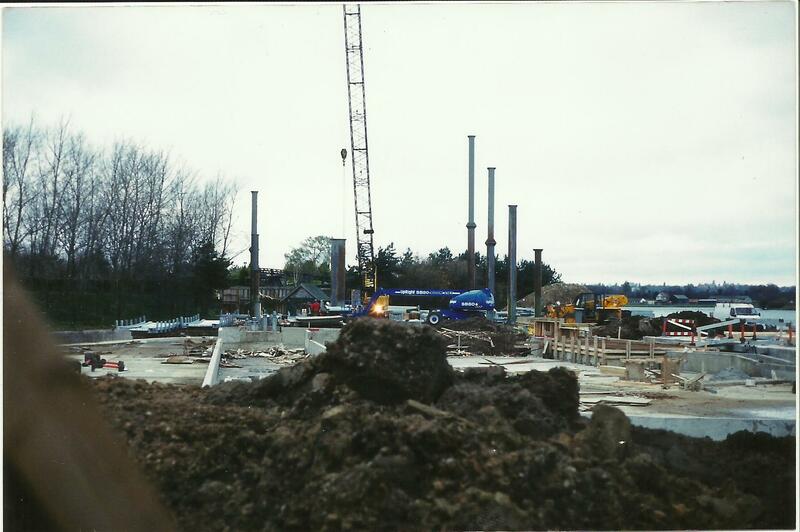 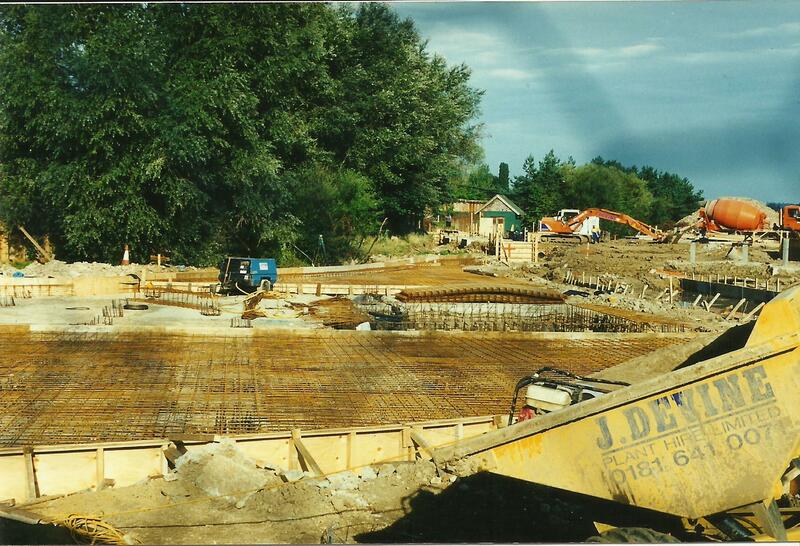 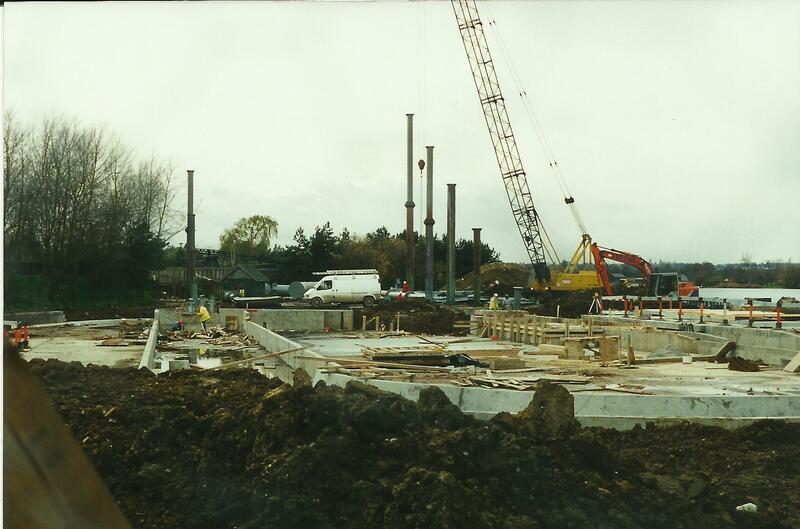 We see here much of the ground work is well underway with footers being installed.